Who said pens had to be boring! Make writing fun with these adorable Flower Gem Pens. Each pen features a bouncy happy flower. 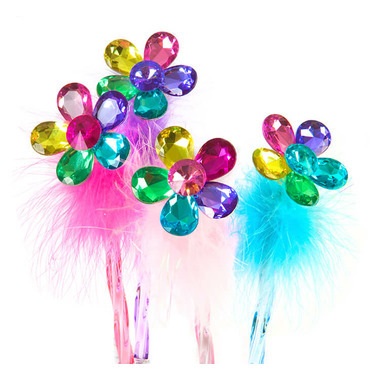 Made from sparkly gems with a marabou feather puff accent these pens are fun and functional. 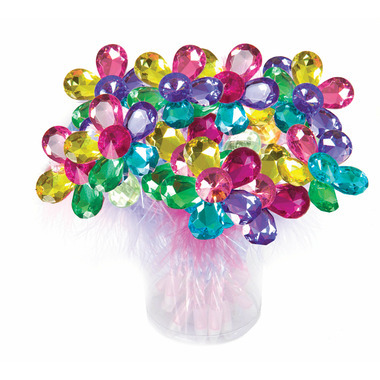 Please Note: Great Pretenders Flower Gem Fluffy Pen comes in 4 different colours: pink, magenta, purple and blue. You will receive one at random when purchased.